THE TRANSITION INTO a new job always takes a bit of time. But rarely are we asked such personal questions on arrival as poor Pat Kenny was. The presenter’s new radio home Newstalk, presented him with five questions to acquaint him with his new audience. We doubt he was expecting to be hit with the one that has been dividing citizens for centuries: King or Tayto? Fair play to him, he gave an answer straight away. No fence-sitting going on here. Pat recently left RTE to join Newstalk as their mid-morning host and is due to take his new seat from 10am on Monday morning. With all of this change, maybe he’ll finally give Tayto a bash? Email “Pat Kenny answers the big question: King or Tayto?”. 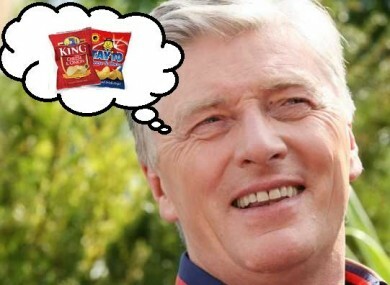 Feedback on “Pat Kenny answers the big question: King or Tayto?”.